Since the start of August Bitcoin has been in a renewed price decline. This drop was further exacerbated by the SEC’s decision to delay yet another BTC ETF. However, one hedge fund manager believes that the sharp reaction is a bit exaggerated. The main thing to remember is that bitcoin is a very early-stage venture, but has real-time price feed — and that’s a unique thing. People get excited about the price and overreact. On Wednesday, the price of Bitcoin fell well below the $6,500 mark, bottoming out at $6,100 before staging a mini-recovery to reach to the current $6,300 price level. This decline followed Tuesday’s decision by the SEC to delay the approval/rejection of the VanEck/SolidX BTC ETF. Despite the mini-recovery of yesterday, Bitcoin is still down by more than two percent in the last 24 hours. 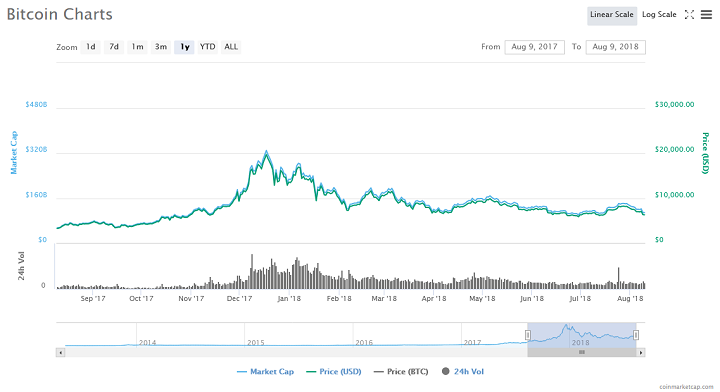 The top-ranked cryptocurrency is currently in its lowest level in almost a month. Morehead also revealed that he wasn’t surprised at the Commission’s decision given that it has been the same pattern for the previous five years. 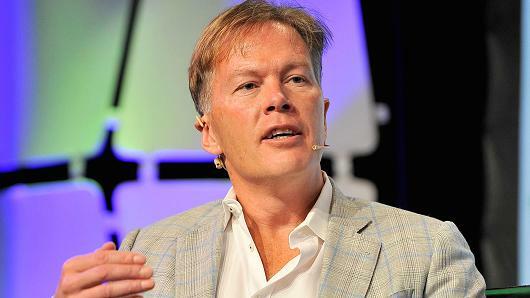 The Pantera CEO also said that the SEC is taking its time with its decision, being cautious about the ramifications of a Bitcoin ETF. 2018 has been a difficult year for the cryptocurrency market in general. Many coins have experienced massive pullbacks from their late 2017 and early 2018 highs. Bitcoin has declined by more than 60 percent since the start of the year. Despite all of these, Morehead says the BTC price performance is all a matter of perspective. The Pantera chief pointed out that BTC is still up by more than 80 percent in the last 12 months. He urged investors to shift their focus from the ETF wrangling to more positive news in the arena. He paid particular attention to the proposed collaboration between ICE, Microsoft, and Starbucks. Do you think the current price slide is an overreaction? What is your earliest time estimate for an SEC-approved BTC ETF? Keep the conversation going in the comment section below.